If you live in Salt Lake City, when you hear someone mention "9th and 9th," you inevitably think of The Coffee Garden. The warm, bright, trendy cafe is practically synonymous with the nickname for one of our city&apos;s most famous neighborhoods, providing an anchor for the other eclectic shops and restaurants that line the streets near the intersection of 900 East and 900 South on the city&apos;s grid. On Thursday mornings, when I&apos;m there without fail with my friends (after yoga class at Centered City down the street), it&apos;s full of studying or gossiping high school and university students, suited business people on their way to work, sweats-clad gym goers after their morning workouts, a handful of Web-browsing Westminster College professors (using the cafe&apos;s free wi-fi), and Mony Ty - the realtor who would be mayor of the place if there was one. Other days, you&apos;ll find skiers, hikers and climbers on their way out to the Wasatch, young hip couples, bike racers in team uniforms downing a quick cup before a group ride, or a gaggle of stitch-n-bitchers who cover the long common table with their knotted creations and yarn and discuss everything from politics to the weather. Oh yeah, and Mony. 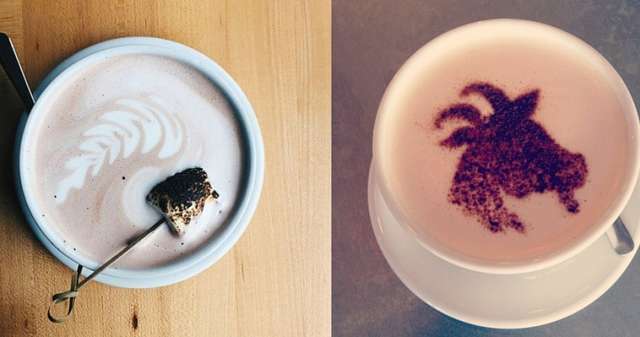 The point is, the bright, casual, trendy cafe is a melting pot of Salt Lake&apos;s diverse east siders, and is a destination coffee stop for people of all walks of life. I definitely recommend people watching. The place is always buzzing. The coffee is good, and there&apos;s a huge selection of white, green and black teas to choose from. The scones are dreamy, creamy creations (I get one every week to dip in my 16 oz. Americano with milk), but they also offer an array of other baked goods, including the recent addition of surprisingly good wheat-free muffins. For lunch or snacks, you can choose house-made quiche, baguette sandwiches (just like France), Rico burritos, and potato or pasta salads. And there are tons of gorgeous desserts. In the warmer months, you can sit outside at the umbrellaed sidewalk tables to watch the neighborhood go by and pet the dogs who are more than welcome to join their owners on the patio.